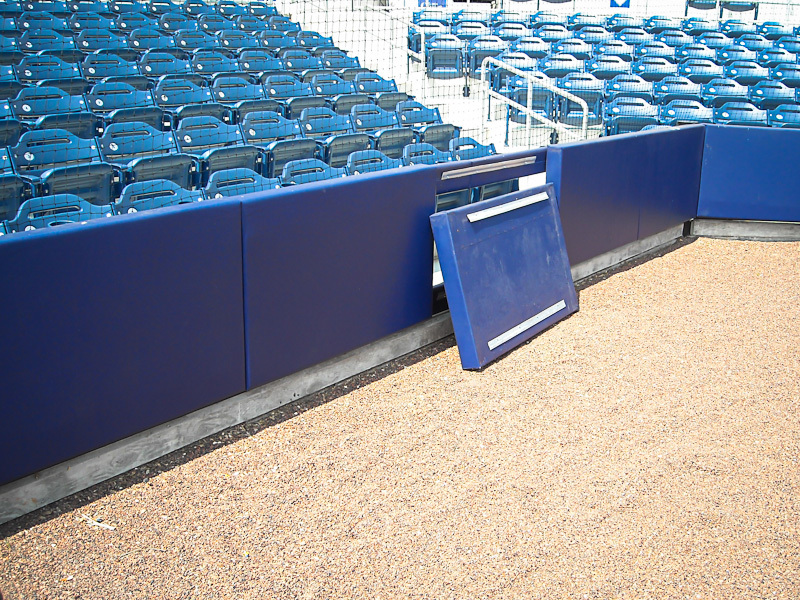 Our professional-quality panels are customized to fit your specifications. 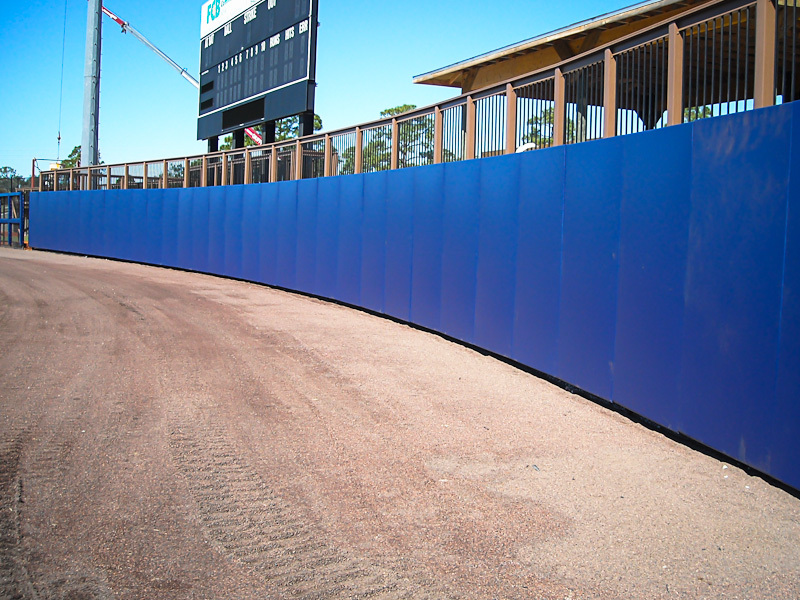 Choose from a variety of standard colors, or let us help you customize a color just for you! 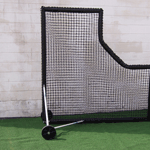 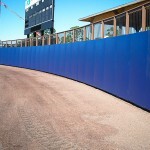 All panels are completely encased with UV-resistant, 18oz. 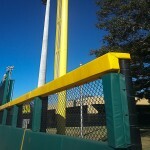 vinyl-coated polyester for both quality and durability. 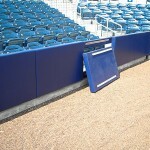 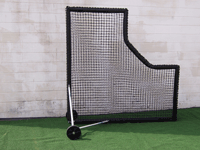 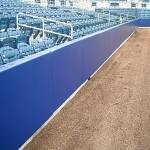 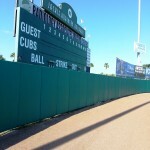 The panels can be attached to fences or walls using Velcro, Z-Track, or plates and bolts as shown below. 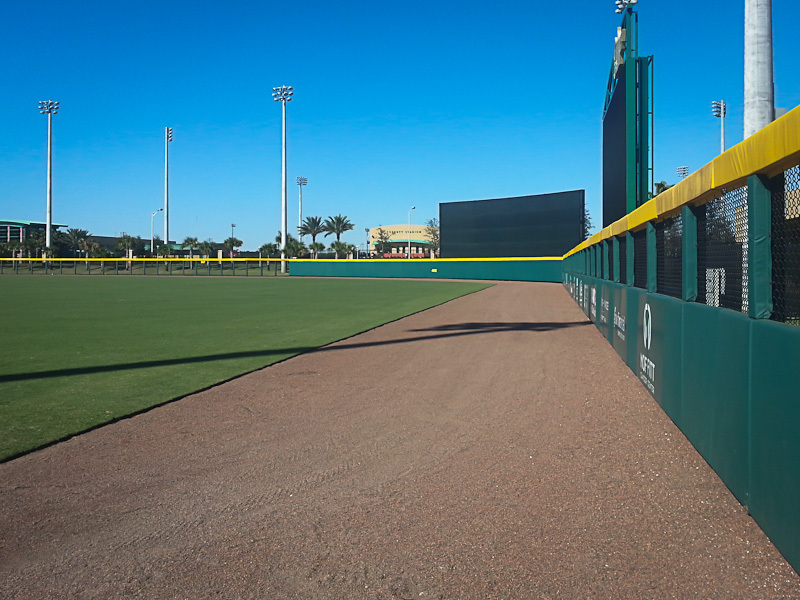 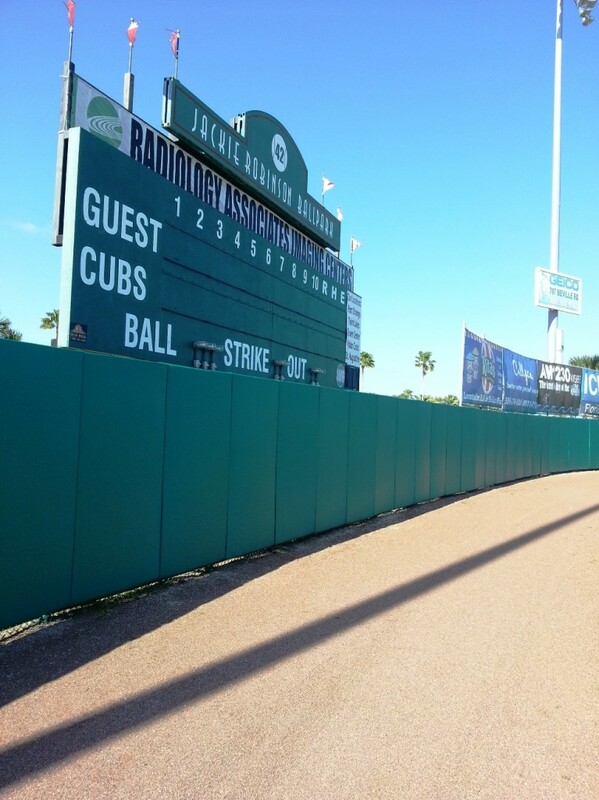 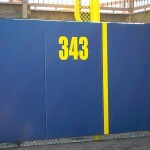 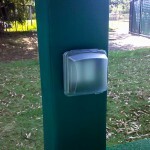 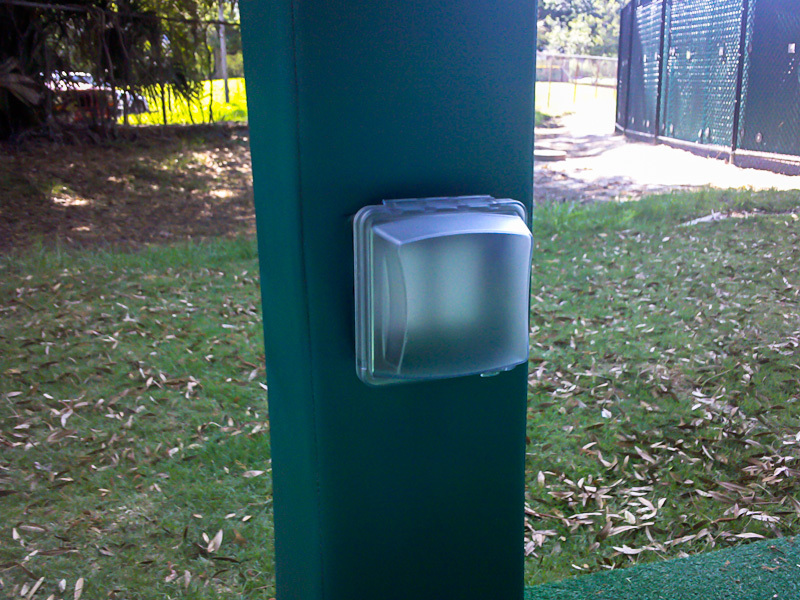 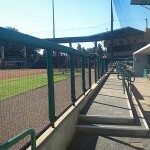 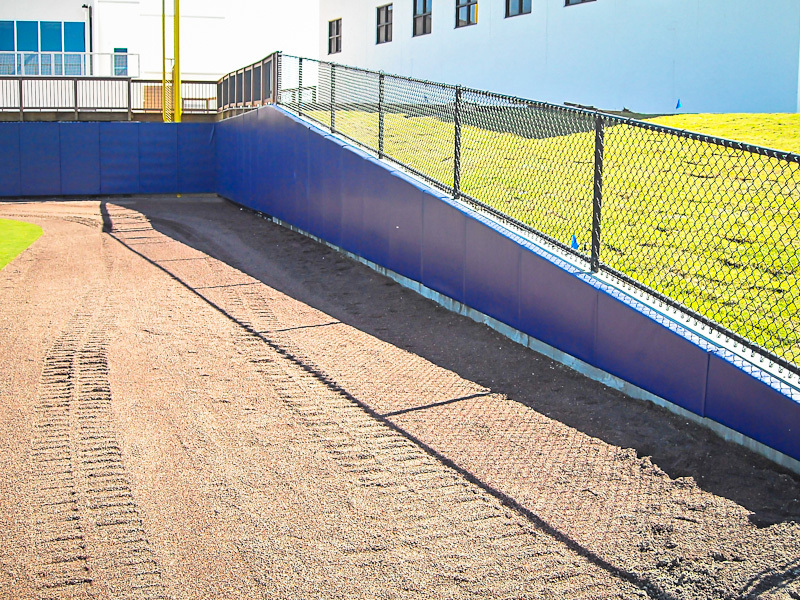 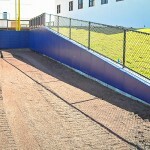 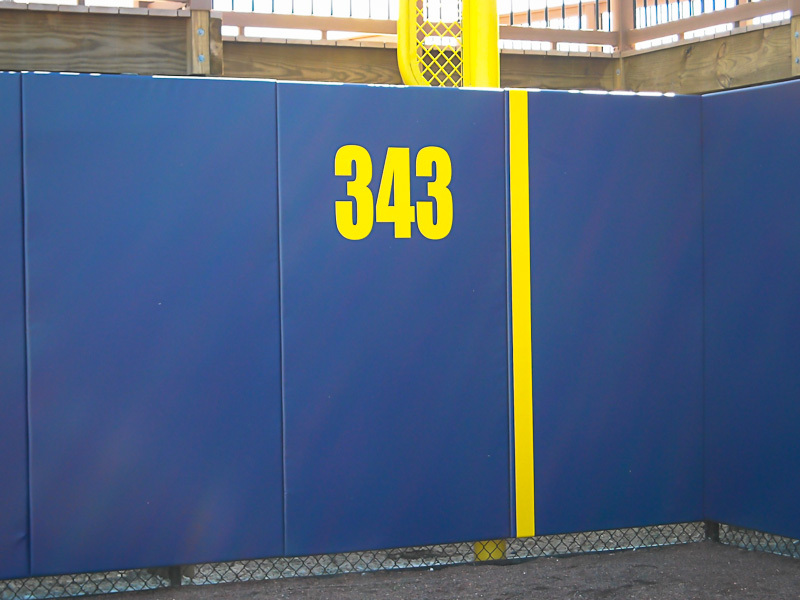 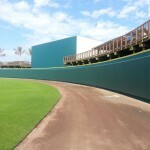 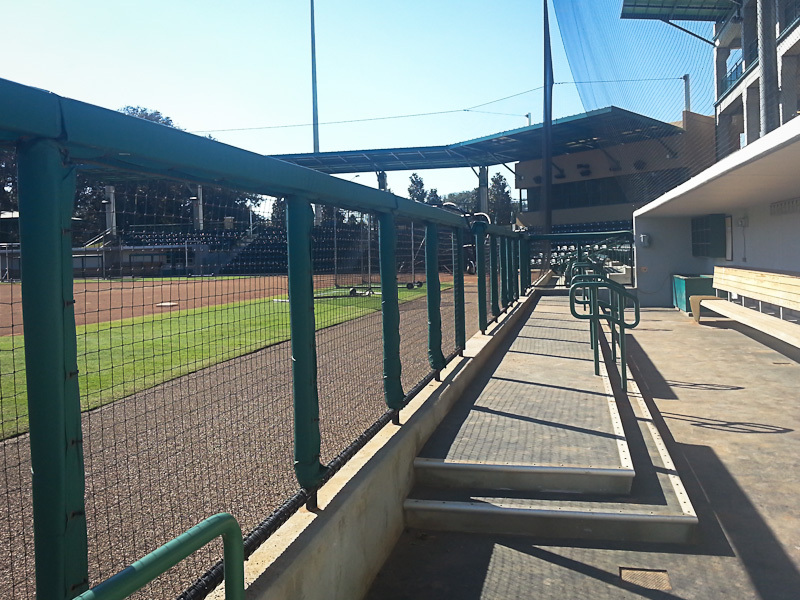 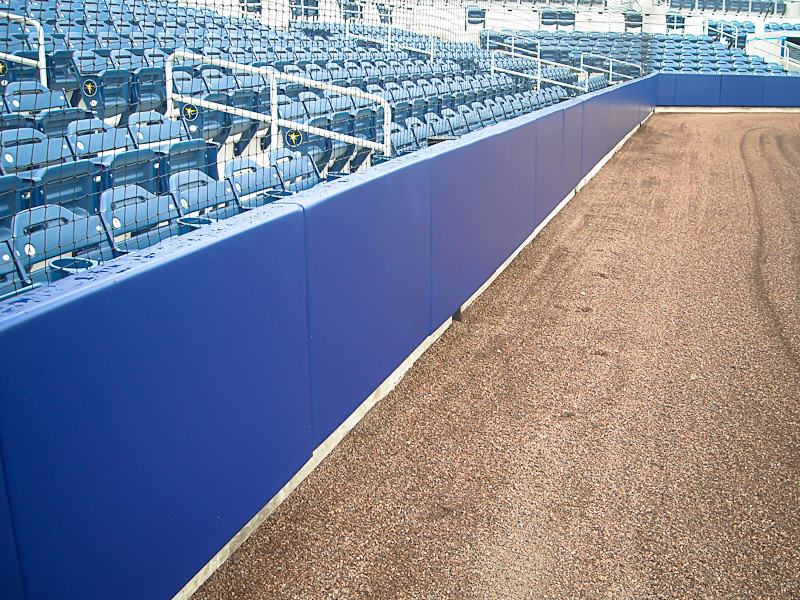 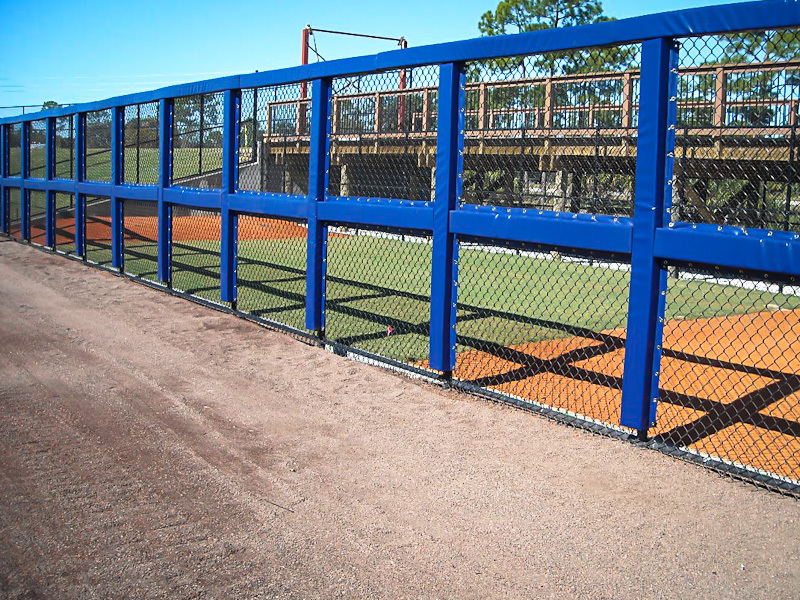 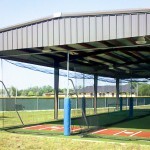 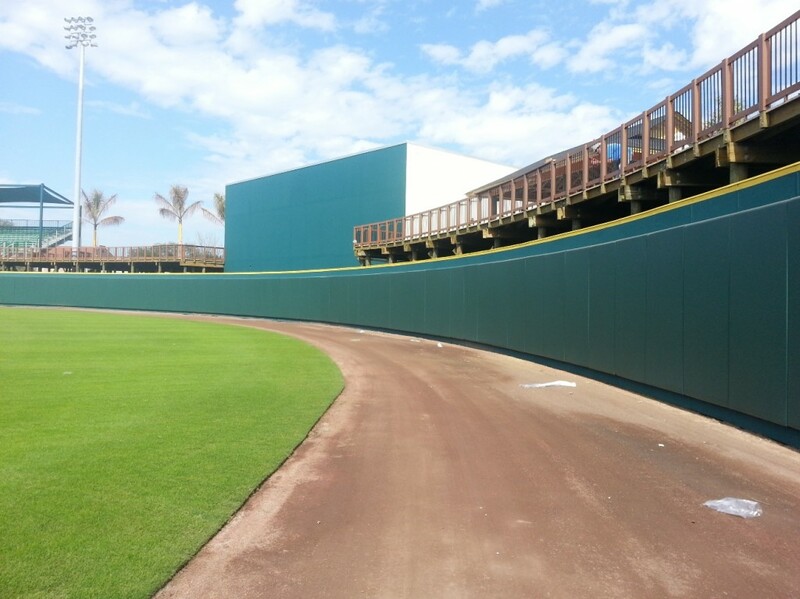 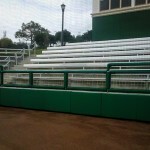 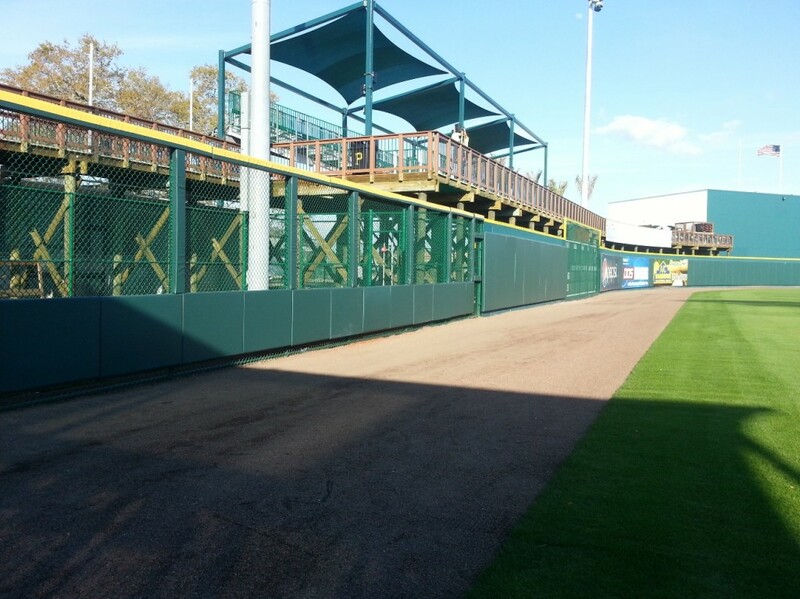 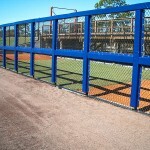 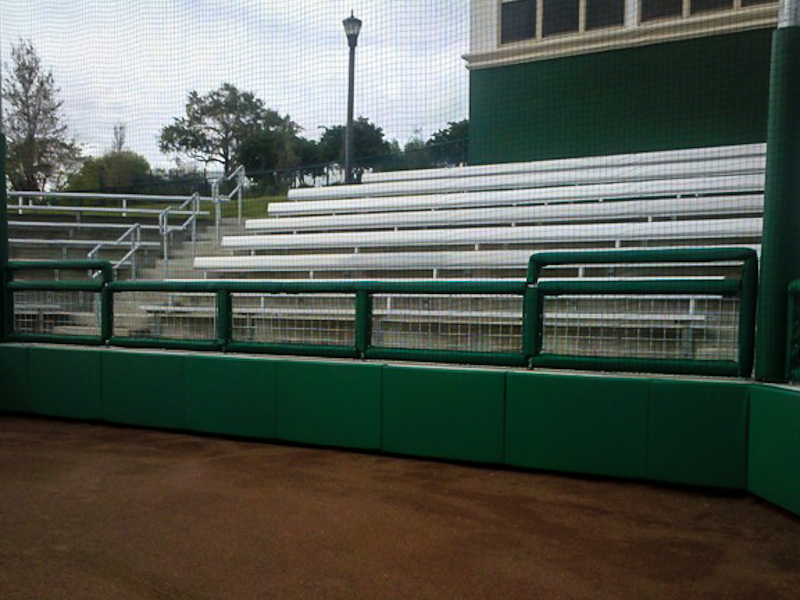 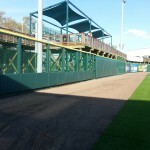 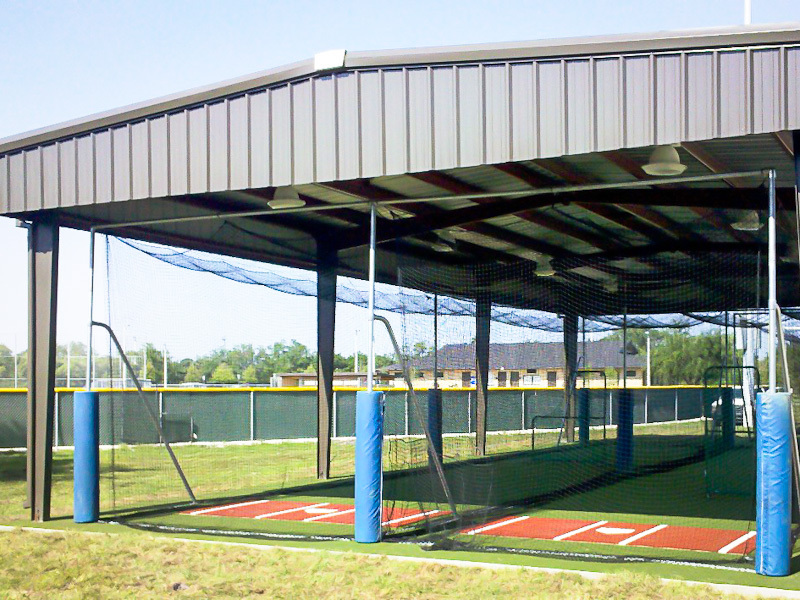 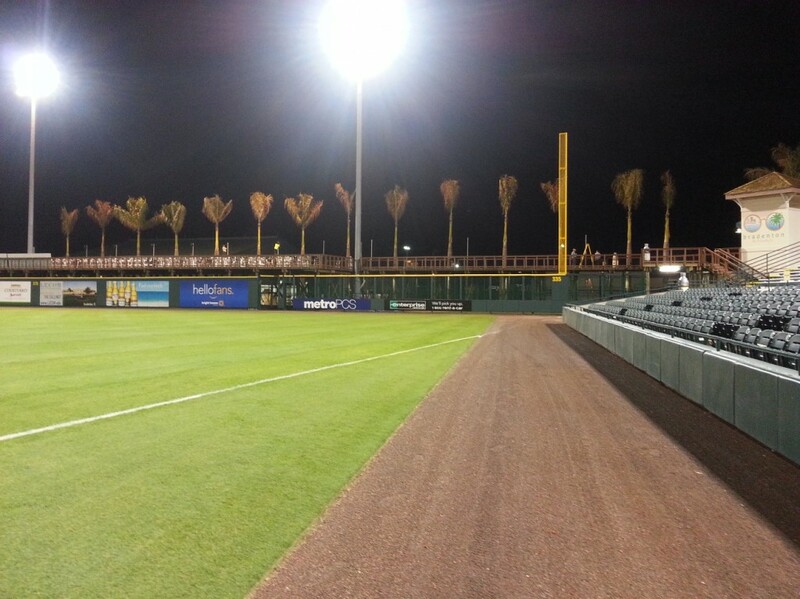 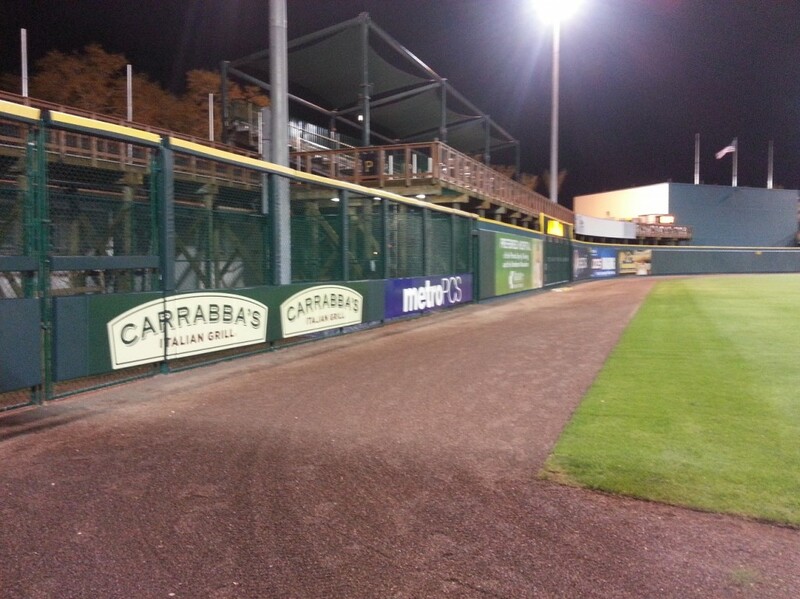 Matching rail pads can also be customized to coordinate with your protective wall padding. 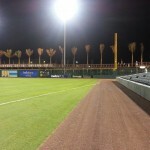 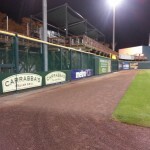 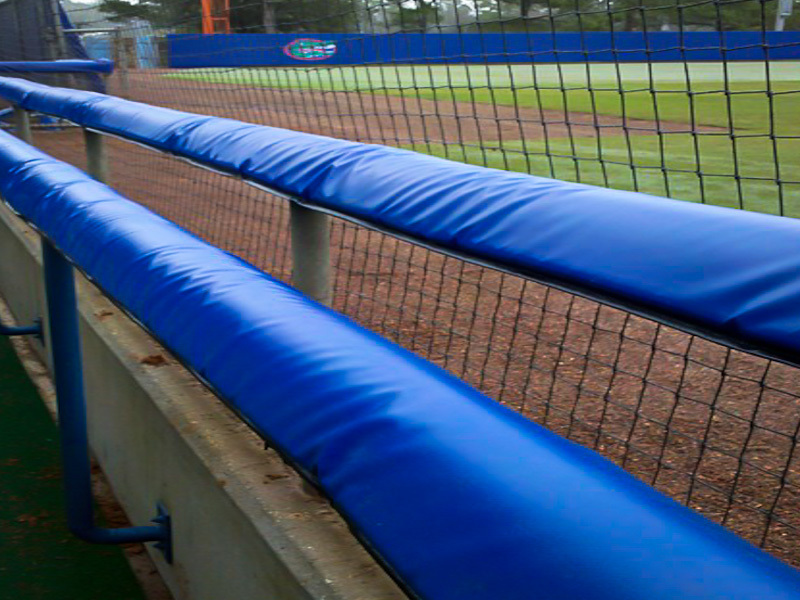 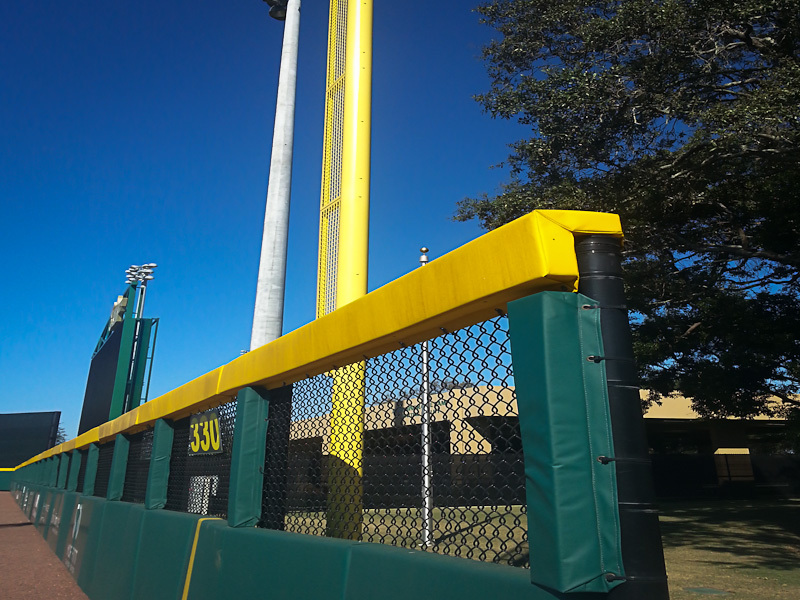 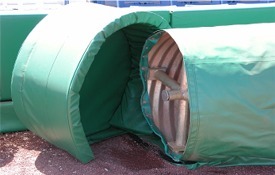 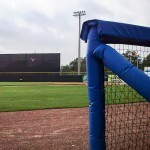 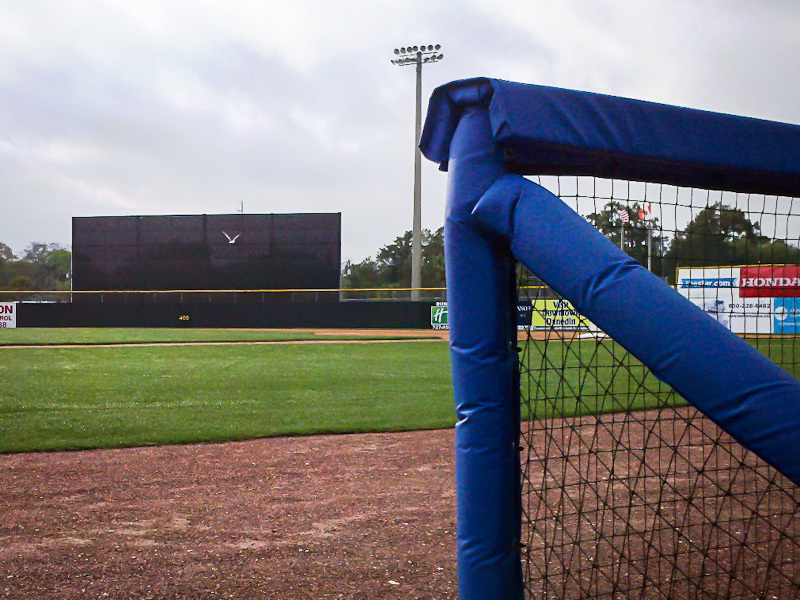 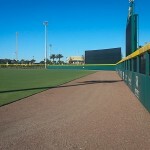 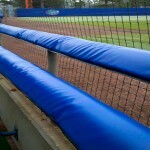 Protect your players from unecessary injuries while concealing your infield tarp cover with our padded tarp covers and tarp cover end caps.